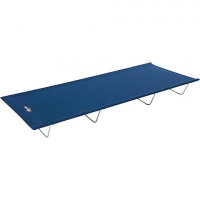 Elevate your camping experience by bringing along the Base Camp Cot. Easily portable to pack up for any adventure you want to take! Combine the convenience of a raised height with our powerful external AC pump and you have the ultimate in all-night comfort! 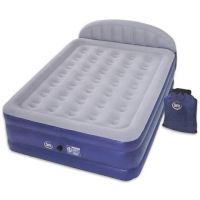 Fits standard size Queen sized sheets and sueded top keeps bedding neatly in place. Includes carry bag.